Section I. 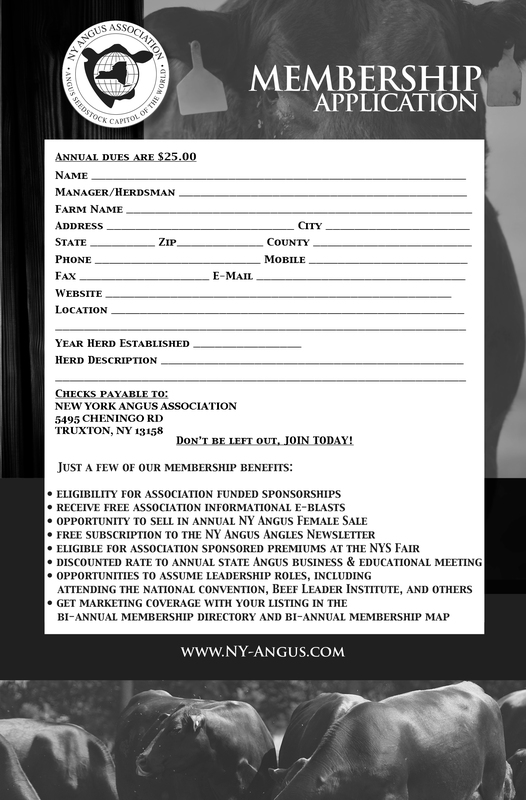 The name of this Association shall be the New York Angus Association, Inc.
necessary to advance the prosperity of the breed and its breeders herein. Section I. The officers shall consist of a President, Vice-President, Secretary and Treasurer. place selected by the officers and directors. majority of the members present at the annual meeting. until one full year after expiration of the last term for which he was elected. Section 1. The principle place of business of this association shall be the office of thePresident. might desire to become a member. Roberts’ Rules of Order, latest edition. and perform other such duties as may be required by the officers and Board of Directors. dispensed for the preceding year. conduct business via conference call. membership vote at the next annual meeting. written notice is given to all members. specifically authorized by the Board of Directors. Paragraph I. These by-laws may be amended by a majority vote of the members present at any annual meeting or any meeting called for that purpose. Paragraph I. All references made in the Constitution and By-laws to “he” shall be interpreted to be “he/she”.